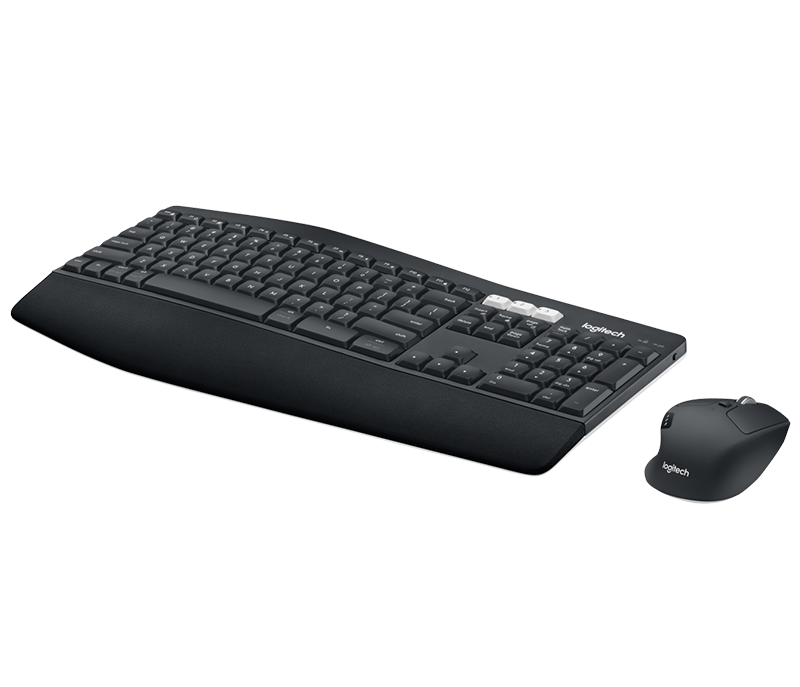 Experience next-level comfort and productivity with the powerful MK850 Performance. 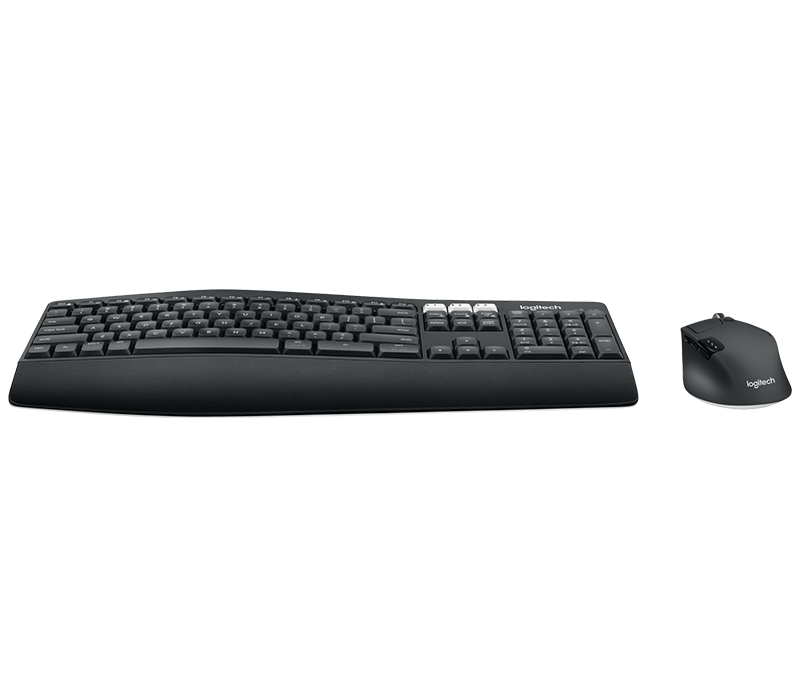 You’ll conquer work in comfort thanks to the cushioned palm rest, curved keyframe and contoured mouse. 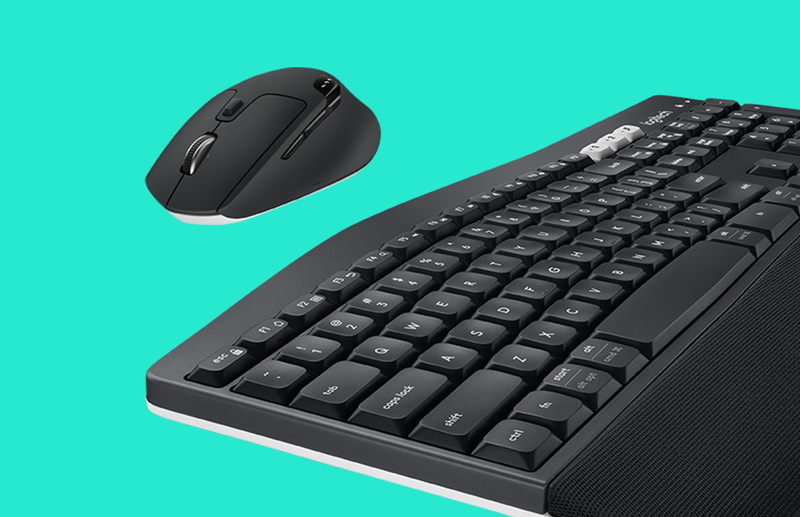 Switch between screens on both your keyboard and mouse for seamless multi-tasking. 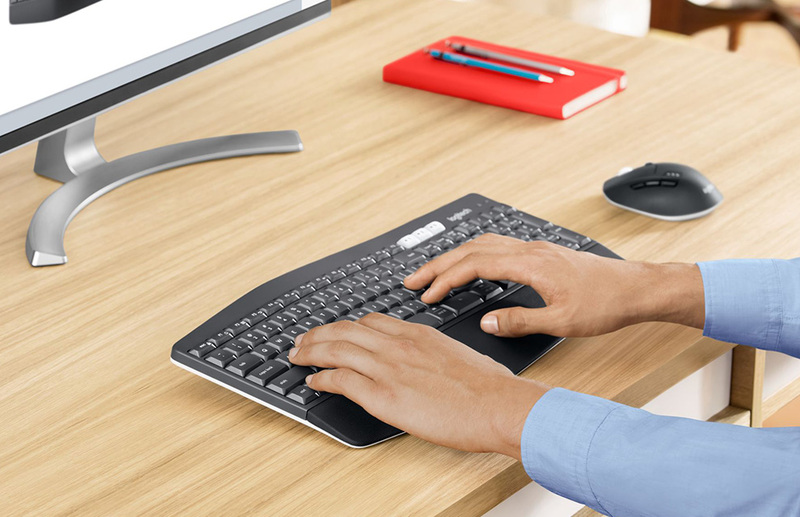 The oversized, cushioned palm rest and curved keyframe gives you support for all-day typing. 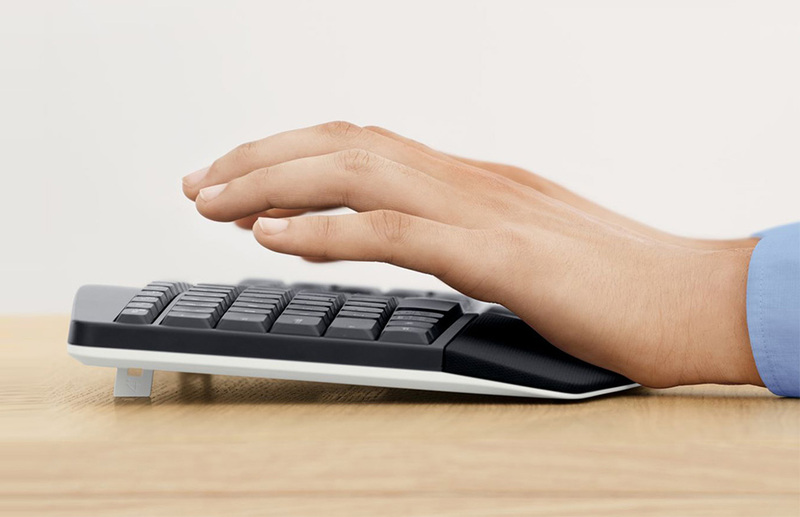 Adjustable tilt legs offer the perfect typing angle. 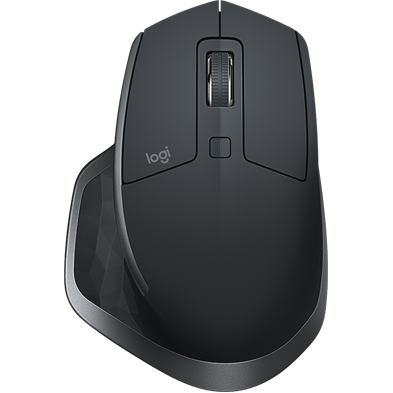 And the contoured design and soft rubber surface of the mouse fits comfortably in your palm. 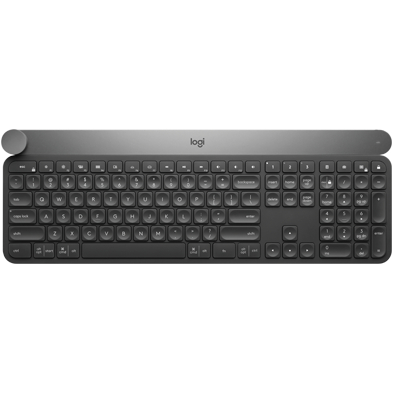 Fly through documents and web pages with hyper-fast scrolling and type quietly and efficiently on a full-sized keyboard with carefully-crafted concave keys. 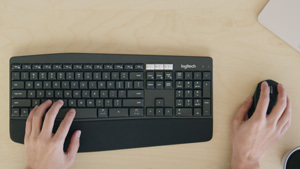 Start typing on your computer, then switch to your tablet, phone or computer* with the touch of a button. 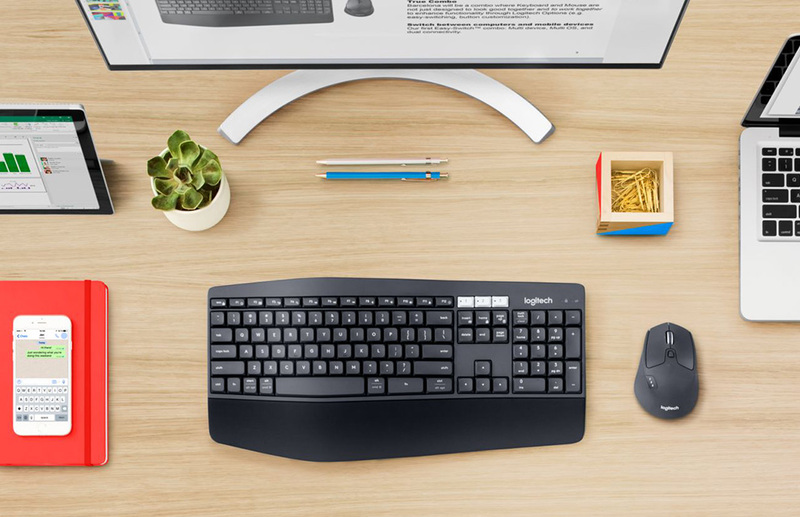 Your mouse pairs with up to 3 devices for seamless multi-tasking. 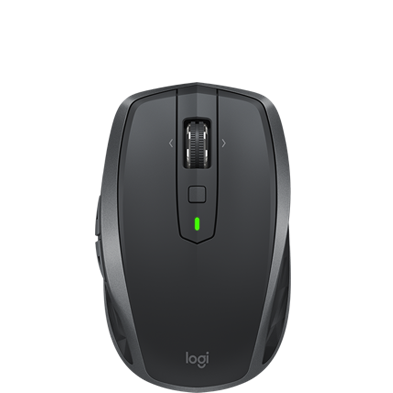 *Download Logitech Options™ Software to enable Logitech DuoLink and Logitech Flow. 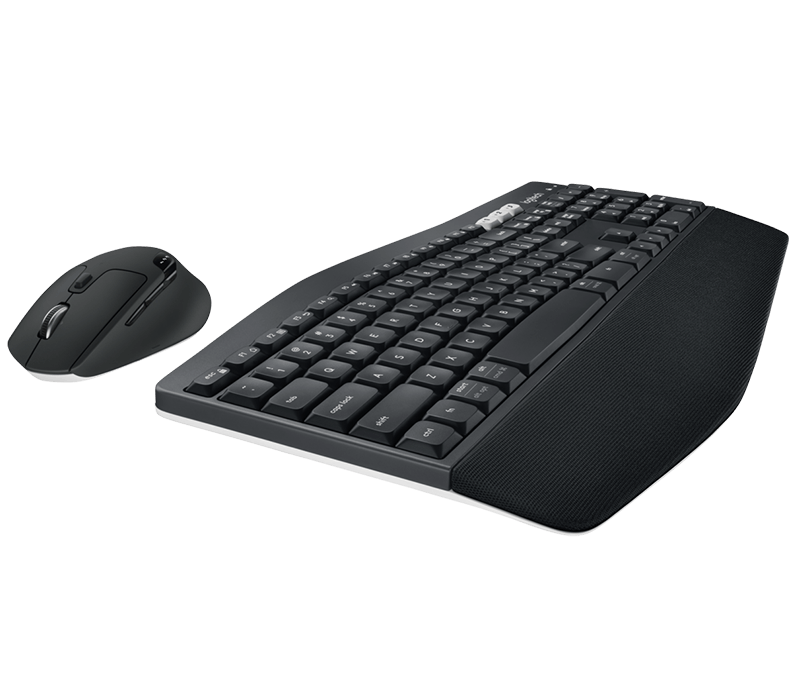 Your keyboard won’t require new batteries for 36 months and your mouse stays powered for 24 months. 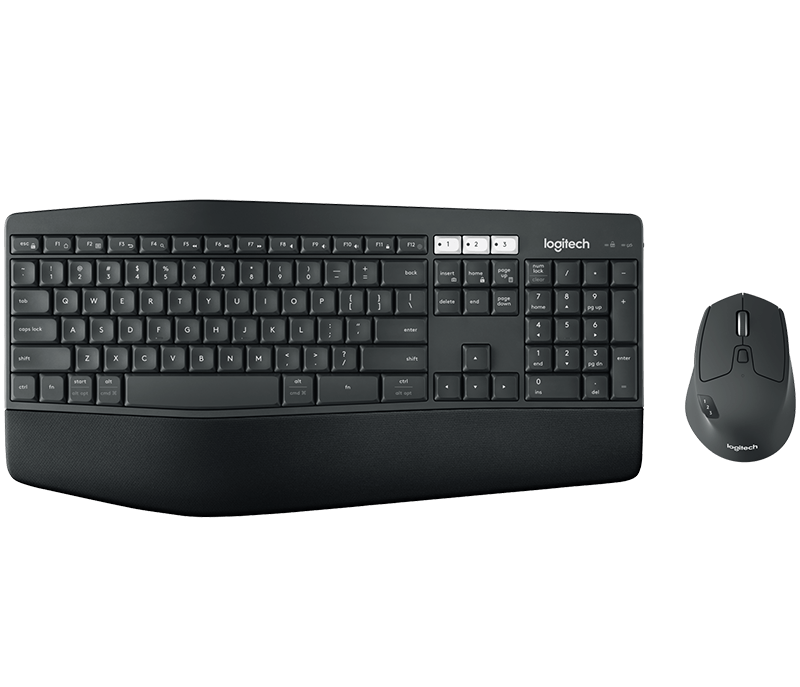 * Connect wirelessly to your devices with Logitech Unifying™ USB receiver or pair via Bluetooth® low energy technology. 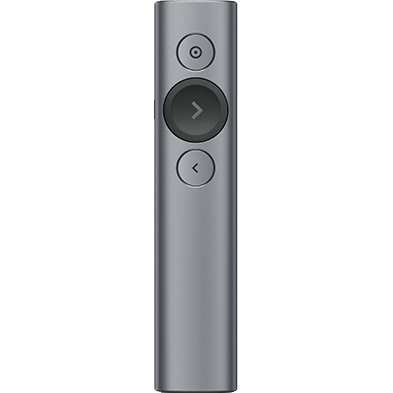 *Battery life may vary based on user and computing conditions. Internet connection for software download, USB port. *Wireless range may vary depending on operating environment and computer setup. 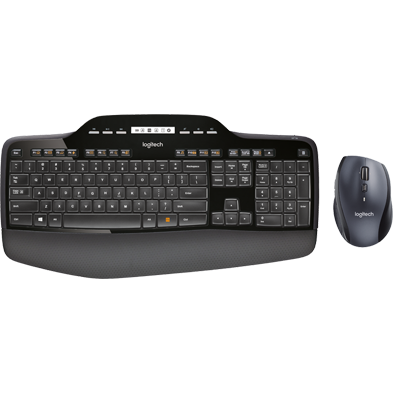 *Wireless encryption is between keyboard and the connected computer or mobile device. 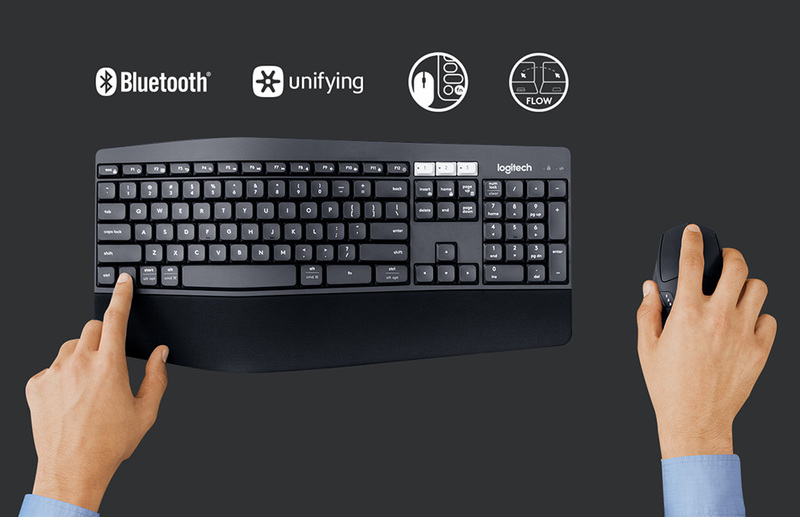 *Keyboard battery life based on two million keystrokes per year in an office environment. 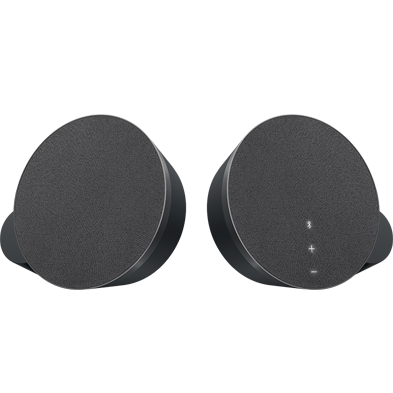 Battery life may vary based on user and computing condition. *Battery life may vary based on user and computing condition.